Welcome to a new “Green-School” year! Nuala came on behalf of the Cool Planet Experience, to spread the word about climate change [global warming]. She showed us a PowerPoint presentation about what’s happening to our planet. She told us ways to reduce fossil fuel usage in our town. Nuala told us the things that are using the most fossil fuels e.g. vehicles and agriculture. She explained to us what will happen to our planet if we don’t help stop climate change /global warming. On the 6th of November, Letterkenny Tidy Towns invited us to the Letterkenny Tidy Towns Awards. We went with our parents and Mrs. Doherty to represent Lurgybrack N.S. The guest of honour was Bishop Alan McGuckian, who presented the prizes to all the schools. We went up to the stage to receive the ‘Caring for the Environment’ award along with a fifty euro voucher for Alcorns. This is an award we win every year, so far. While we were walking down off the stage to our seats a lady kindly gave us a bag of sweets! 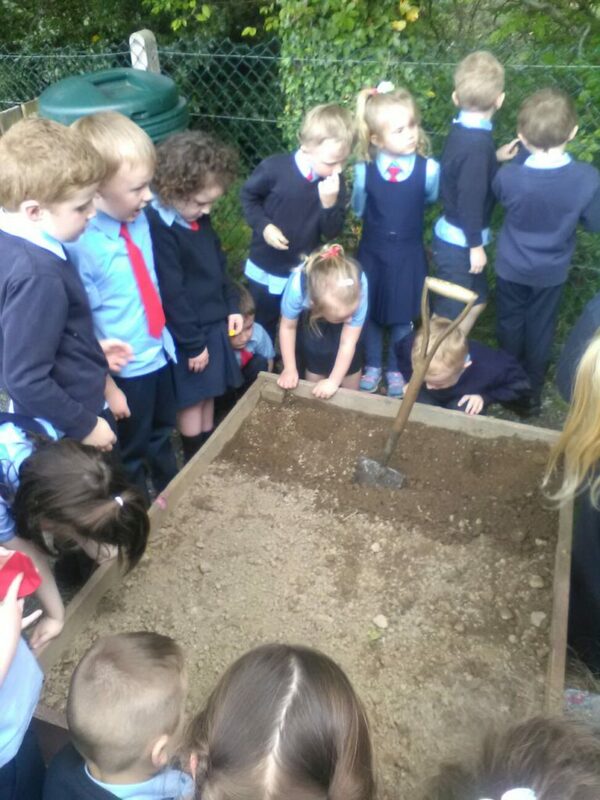 We were very surprised to find out that we had won another award – ‘School Gardeners of the Year’! This is an award we have never won before. It was a very successful night and we were pleased to leave with such distinguished awards. Thank you to Owen, Mrs Doherty and the whole school for their co-operation. The two 6th Classes are taking part in the ‘Something Fishy Programme’. ‘Something Fishy’ is an Educational Programme, aimed at Primary school pupils aged between 10-13 years, which informs and educates students on fish, water, angling, and the environment and angling. As part of this programme, Owen and Paul from Inland Fisheries Ireland brought an array of fish and insects to our classroom. The pupils got to learn, play and discover about water, fishing, and the life of a salmon fish in Irish Waters. See http://www.somethingfishy.ie/index.html for more details. 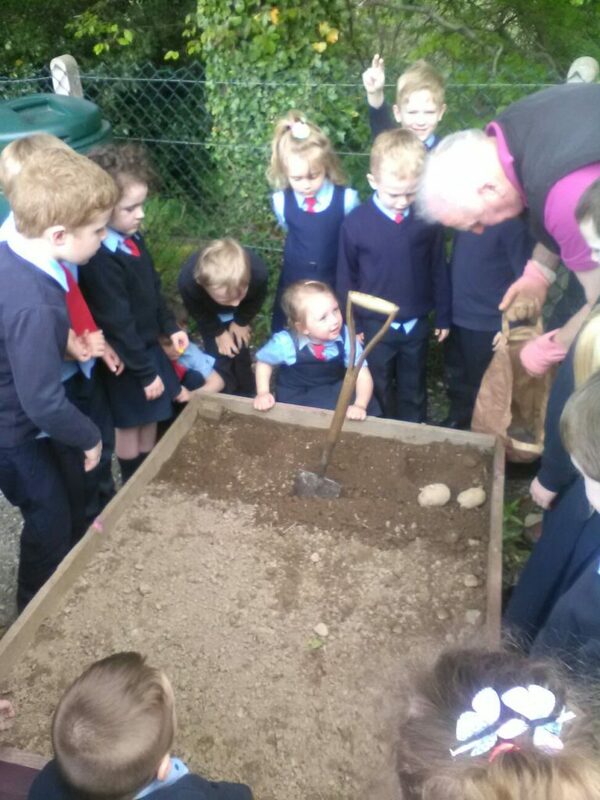 We were invited by Letterkenny’s Cathedral Quarters to help them create a Christmas Garden on the Church Lane. The theme was “A White Winter Christmas Garden.” For this event, we made a window box which will be placed on the Church lane for that Christmas and I designed the window box! 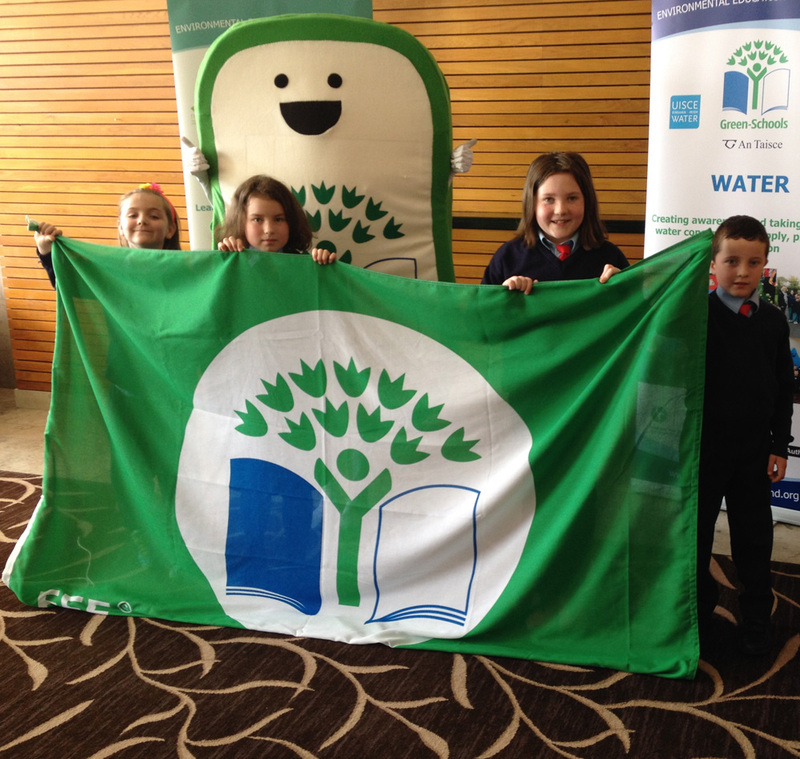 This year we are working towards our 5th Green Flag. The theme is biodiversity and it is a two year programme. We have a new committee established and I am looking forward to working with them on this new and exciting area of the green schools programme.On the 10th of October we celebrated Tree Day in Lurgybrack with a wide range of activities undertaken across the school. 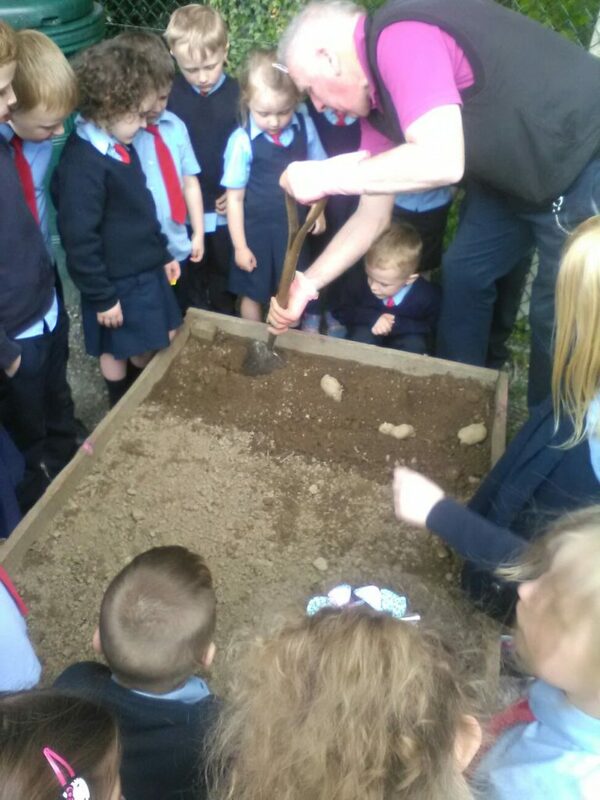 We are currently planting our bulbs for spring and some teachers are busy planting vegetables in the school garden. In relation to the school garden, I would greatly appreciate any advice and/or help from parents who have an interest in this area to contact me at school on 074 91 25455.